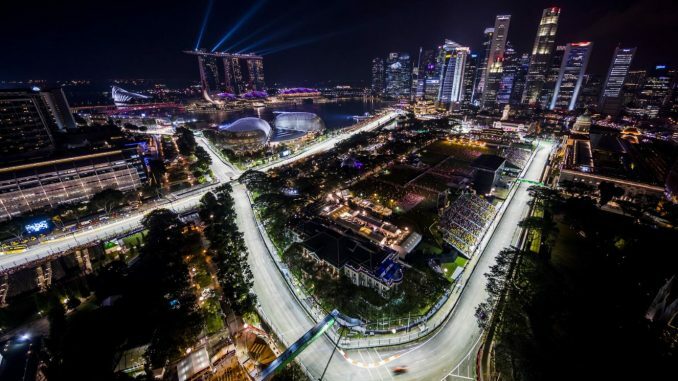 Lewis Hamilton will be looking for his fourth win in five races as F1 heads to Singapore this weekend. The reigning champion has a 30-point lead over Sebastian Vettel at the top of the drivers’ championship following victory at the Italian Grand Prix earlier this month. The year’s race marks the 10th anniversary of the first night race in the sovereign city state. 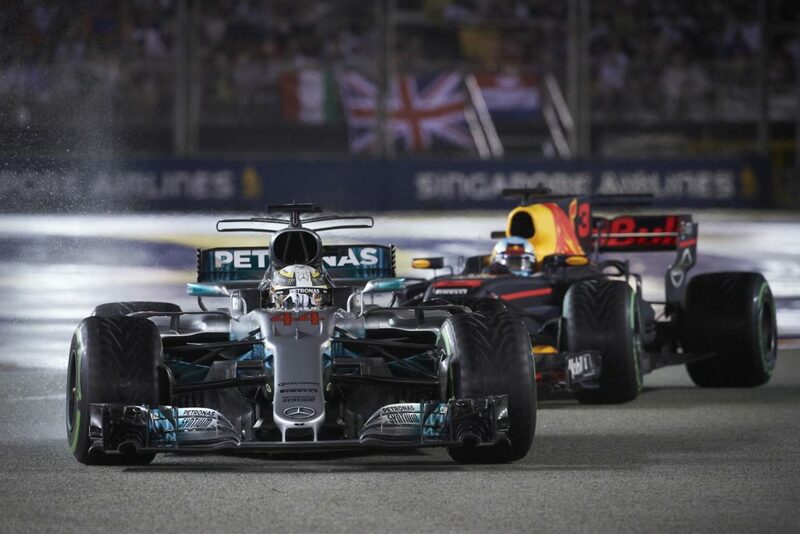 The 2017 Singapore Grand Prix is probably best remembered for the huge shunt at the start of the race, which eliminated both Ferraris and Max Verstappen at the first corner, while Fernando Alonso retired a few laps later as a result of damage sustained in the same incident. The race started on a wet track, and the early collision allowed Lewis Hamilton to take the lead behind the safety car, despite starting from fifth. Daniel Ricciardo sat second after the opening-lap action, and was able to hold off Valtteri Bottas throughout the race, while Carlos Sainz secured his career best result with fourth. Renault’s Jolyon Palmer also took the best finish of his career at this race, claiming an impressive sixth for the team, which was his only points finish of the year. 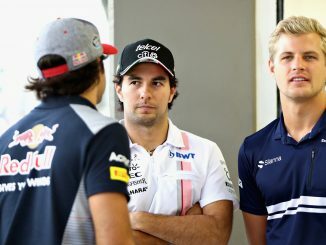 The team announced at the following race that he would be replaced by Sainz for the remainder of the campaign. Shortly after the racing resumed, another safety car period was needed as Daniil Kvyat lost control of his Toro Rosso, resulting in Pierre Gasly being called in to replace the Russian for the following race. Marcus Ericsson also suffered a spin, forcing a third safety car. Changes have been made to turns 16 and 17 ahead of this year’s race, making the Marina Bay Formula 1 circuit two metres shorter. The turns are best known as the ones Nelson Piquet Jr deliberately crashed at during the inaugural race in Singapore. Despite the shorter track length, the race is still scheduled to be held over 61 laps, although last year’s race didn’t go the full distance due to the wet conditions and safety car periods, with the chequered flag coming out three laps early. A number of areas have also been resurfaced, including at turn 1, which could result in some parts of the track having different levels of grip as well as uneven drainage if it rains again. 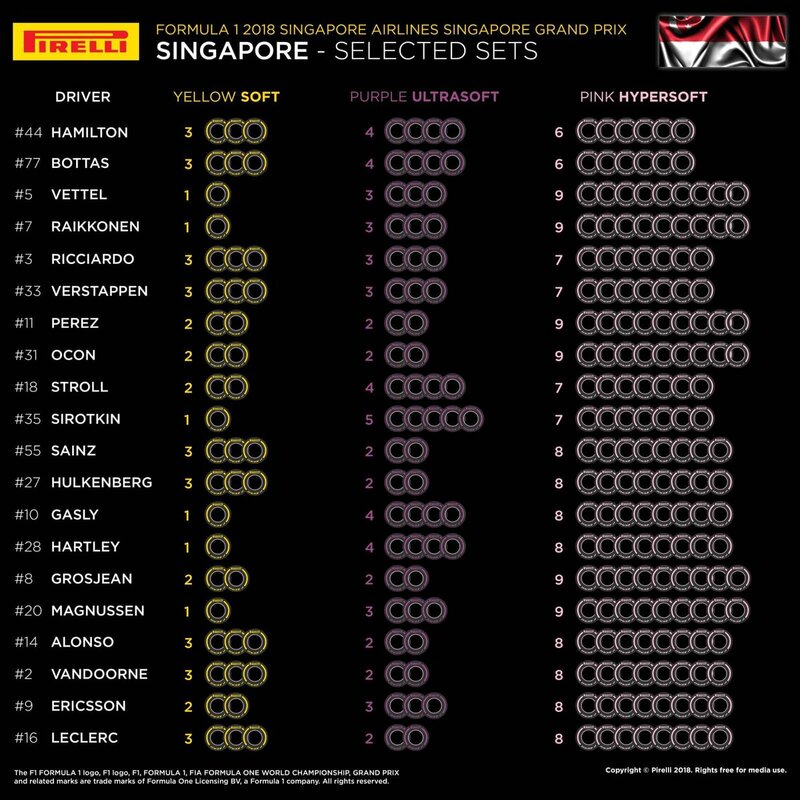 Pirelli has gone with non-consecutive dry compounds for this race, opting for the soft, ultrasoft and hypersoft tyre, leaving out the supersofts which were in use in Singapore last year. This has resulted in a range of strategies being adopted by the teams. 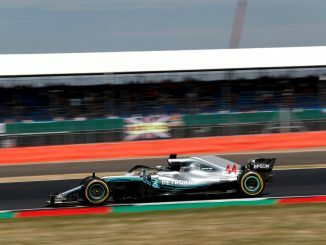 Mercedes have gone with what could be considered the most conservative approach of all teams, with just six sets of the softest option, while Ferrari seem to think the pink-striped tyre. Because of the wet conditions at the start of last year’s race, most drivers made multiple trips into the pitlane, but Hamilton and Bottas both managed to gain positions by making their first set of inters last for almost 30 laps before switching onto hypers. It was a busy race for the Sauber pit crew last year as Pascal Wehrlein and Marcus Ericsson made four pitstops each, although neither managed to score points. Most of those who finishes in the top 10 needed two or three trips through the pitlane. The softer tyres at this year’s race suggest that it could be a two-stop race even in dry conditions, particularly if some teams struggle to make the hypersoft tyre last, although the resurfaced track could make tyre wear unpredictable. It looks almost certain it will be wet at some point this weekend, with heavy rain and thunderstorms forecast in Singapore over the next few days. Tomorrow’s practice will likely take place on a drying track, with rain expected throughout the day before it stops in the evening. Heavy rain is also forecast during the day on Saturday and Sunday, with a chance of a shower during the race itself. Mixed conditions could make it particularly difficult for teams to work out the best set up and tyre options for their cars ahead of Sunday’s race. The winner of Sunday’s race will most likely start the race from pole position. The pole sitter at Singapore has won seven times in the last nine years, with mechanical failure and a collision costing Hamilton in 2012 and Vettel last year respectively. Sebastian Vettel is the most successful driver at this track, having won four of the 10 races to be held at this track since its 2008 debut, but three of those came during his time with Red Bull. 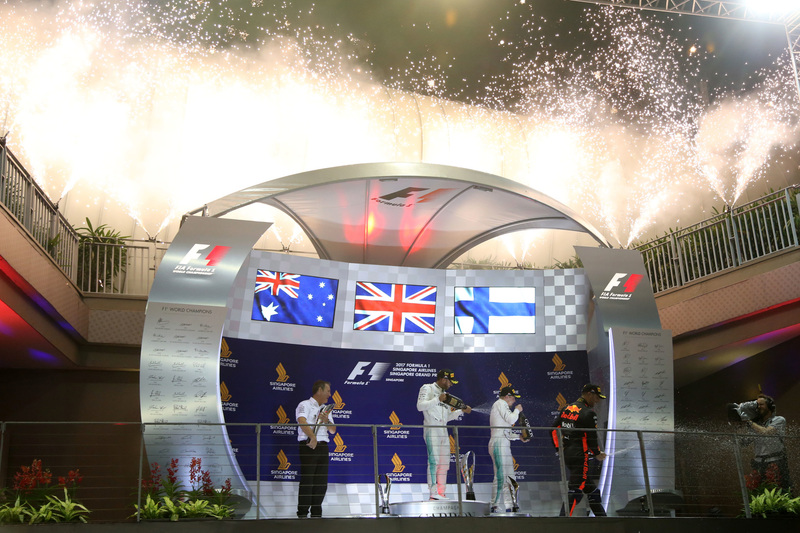 Mercedes have been the form team in Singapore more recently though, winning three of the last four races. It’s almost certain we’ll see the safety car – it’s made an appearance at least once at every Singapore Grand Prix so far, including on the opening lap in the last two years. The high chance of crashes also means this is one of the races which typically sees fewer finishers, with just 12 cars making the end of the race last year. Red Bull have admitted this race is one of their best chances for a win in the remainder of the 2017 season. Daniel Ricciardo usually does particularly well at Marina Bay, having secured a podium in every year with his current team, but he’s in danger of taking another engine penalty after his DNF in Italy, while Verstappen has never finished higher than sixth at the track. Haas have been consistently among the top midfield performers so far this season, but they could take a step back if they’re made changes to their floor for this race. The team faced a protest from Renault at the end of the Italian Grand Prix which saw Romain Grosjean excluded from the final result due to an illegal floor. Haas previously indicated they would be able to make the necessary changes in time for this race, but are appealing the disqualification. If the floor was giving them an advantage, removing it could cost them performance. By contrast, Force India could be one of the team’s moving forward, although they’ve already shown a huge upturn in form at the last couple of races. The team is expected to have new parts on the car this weekend after being able to pay suppliers following the arrival of a new owner last month. Sergio Perez has scored points in each of his previous appearances in Singapore, so he’ll be confident of keeping that streak going. Talk of the 2019 driver lineup is almost certain to continue this weekend following confirmation earlier this week that Kimi Raikkonen and Charles Leclerc will be swapping places next year. It was at this race last year that Toro Rosso announced the Honda engine deal, so further revelations could come over the weekend. You can hear our race preview on this week’s podcast episode and see who we think could be on the podium on Sunday. Make sure you join us on Saturday and Sunday for our live qualifying and race day blogs, and let us know your views through Twitter and Facebook.